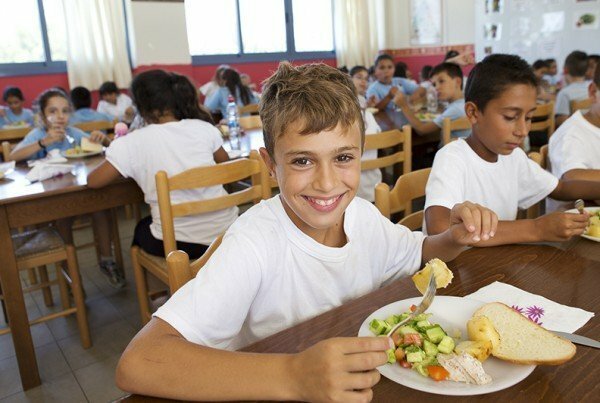 This programme concerns the provision of lunch to all the children of the school in all-day primary schooling in Cyprus. The Foundation constructs and equips the kitchen of each school, where unemployed mothers cook lunch voluntarily every day for their children. The kitchen construction and equipment constitute a permanent infrastructure for the school and the community. This programme has been implemented in 16 all –day primary and nursery schools all over Cyprus. Even when the exigencies for which this programme was created have ceased to exist, ie the economic crisis and the impoverishment of many families, the kitchen will remain at the school’s disposal, so that it can be operated independently. Within the framework of this programme, an unemployed mother is employed, an experienced cook who will act as the person in charge of the kitchen. The volunteer helpers receive a nominal amount every day as a contribution towards their basic expenses. Over and above, the community families who can afford it, will contribute a small fee per month for each child. In this way, they contribute towards the operation of this programme and they help in real terms the poorer children of their school. Furthermore, the Sophia Foundation for Children secures the supply of food provisions and other related raw materials.